The vast majority of listed companies offer employees share awards as part of their reward package, it’s no secret that the value of an employee’s share award can be difficult to get across– especially if that employee is new to share awards, or if the administrator portal can only display awards at maximum value, for example. It’s a complicated topic, usually with a reasonable amount of maths and a lot of variation between different countries and business units, which is why share award communications are so key to success. By placing a big focus on their share award communications, long-standing clients Vodafone, who we’ve been working with for many years, have been able to lead the pack with their approach and make the most of two consumer marketing trends: personalisation and interactivity. 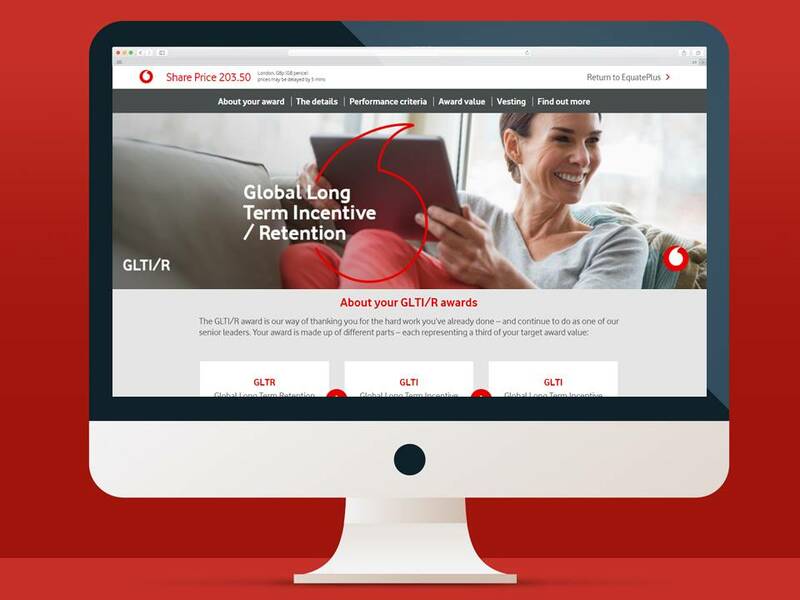 We completely modernised their online offering for employees, by creating a brand-new website for Vodafone executives of all levels about their share award communication. Despite having an award-winning website in place, it had become outdated and we could see that employees weren’t visiting the site as much, a sign that we needed to change something. 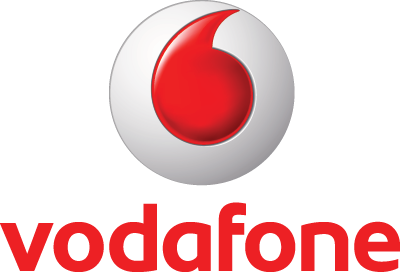 Our challenge was to create share award communications to sit alongside the Vodafone administrator portal, complement its features, while adding significant value for employees. Alongside this process, we also produced a new overarching creative concept that underpinned each element of the content and ensured a consistent user journey. We started by taking a fresh look at all the different demographics within the Vodafone executive audience and segmenting data into different categories. This would determine the content an employee was shown on the new share awards communication website. At the same time, we established a user journey so we had full sight of how the whole share award communications strategy would fit together. After segmenting the data, copy was written for each of these groups and we identified areas where we could make the content interactive. For some groups this meant interactive graphs enhanced with roll-over content and historical information but for others this meant bespoke modelling tools that allowed employees to simulate different performance scenarios for their award. We also designed and built a selection of emails that Vodafone sent to employees via their internal broadcasting system. Emails directed employees to their administrator portal, where alongside their share award detail, they saw creative banners that linked to the relevant version of the employee website – driven by the administrator data. 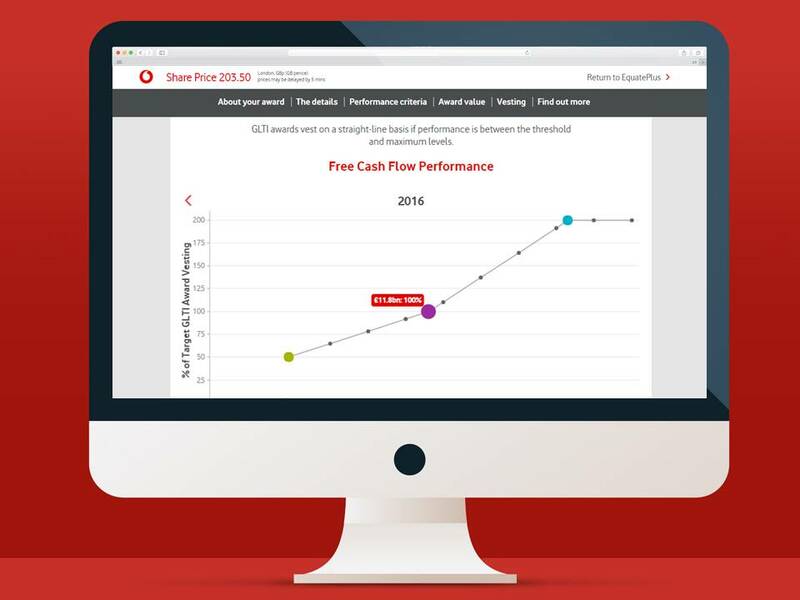 Results: Combining a new creative look and feel in line with the Vodafone brand, and our approach to share award communications, Vodafone were able to offer employees an easy to use, modern tool for understanding and contextualising their awards. Internal communication projects can often end up compromised, but Vodafone are fully committed to treating their employees as modern consumers, and this is what continues to drive the success of their share award communications. We’re working with several clients on their share award communications at the moment and are always more than happy to share what we’ve been up to. Get in touch if you’d like to find out more.